It is very likely that you have heard of dyslexia, but do you hear a disorder called dyscalculia ? Surely not, since children who suffer difficulties in learning mathematics (MAD) are not diagnosed with the same frequency as those who have dyslexia. In fact, the study we recently conducted in the UK shows that students with dyslexia have a chance over a hundred times more to get a diagnosis and educational support for children with dyscalculia, although it is considered that both disorders are just as common. It is worrisome, since a research carried out in 2008 shows that the lack of numerical ability could influence the future of the individual in a more negative way than a low level of literacy. Moreover, a strong linkhas been established between mathematical competencies and success in studies, income, health (both physical and mental), and even the probability of being arrested and imprisoned. Dyscalculia is defined as a disorder characterized by severe difficulties in learning long-term mathematics, which cause considerable problems in academic or work performance, as well as in daily activities. 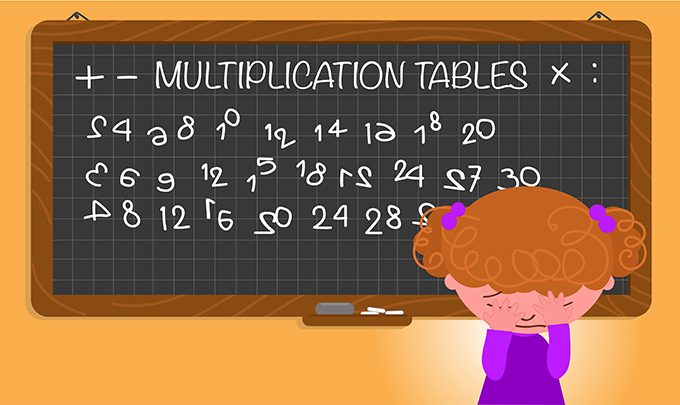 Some of the typical symptoms of dyscalculia, easily identifiable by parents, are finger counting (even in simple operations), the difficulty of remembering numerical data (such as multiplication tables) and the need to overexert themselves to acquire new knowledge . Children with MAD may have problems with the use of simple devices, such as calendars and watches. They may also encounter difficulties in remembering the order in which certain events occurred, so as to follow sequential patterns. Developmental disorders, as demonstrated by research by Emilia Misheva, often appear hand in hand, so if your child is autistic, dyslexic or has ADHD (attention deficit hyperactivity disorder), it is likely that have dyscalculia. Recently, our study investigated the possible relationship between dyscalculia and other developmental disorders in primary school students. The results we obtained were enlightening: among the children we identified as potentially dyscalculic, 81% had already been diagnosed with another disorder. 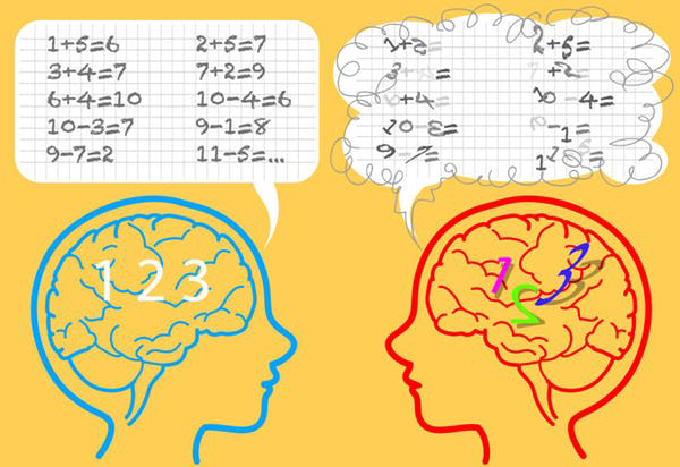 In addition, we found that the number of children who have dyscalculia is the same as that of girls, which differentiates it from other disorders more common among boys. According to our study, dyslexia was diagnosed twice as many boys as girls. Why is your diagnosis not so usual? In the primary schools of the United Kingdom, from the third grade, the students are submitted every year to exams prepared based on the results obtained in previous tests. If a student does not exceed the minimum required and his performance does not improve significantly after receiving help from a specialist for six months, he should be diagnosed with dyscalculia. But the reality is very different, since the difficulties in learning mathematics are not usually recognized, so it ends up looking like a rare disorder. In the end, the lack of diagnosis means that professionals, having no experience with young people with dyscalculia, lack the necessary knowledge to clearly identify a new case, which is why we are in a vicious circle. Previously, the criteria for diagnosing dyscalculia included the requirement that the subject’s mathematical abilities were notoriously lower than those corresponding to his level of intelligence. Although this condition was eliminated , psychologists may still expect to identify excessive difficulties related to mathematics without any other problem. In the absence of established guidelines on how to help dyscalculic students, and its diagnosis being uncommon, it is extremely difficult to identify the individuals who suffer from it in order to submit them to the necessary research to test and develop intervention methods. But dyscalculia encounters another obstacle: when a child is diagnosed with another disorder, such as ADHD, it becomes the main objective of the intervention, which means that AMD can be considered a consequence of ADHD. To make matters worse, there is a general tendency to perceive mathematics as a difficult and heavy subject that, simply, “is not for anyone”. El diagnóstico temprano es especialmente importante, ya que ignorar los principios básicos de las matemáticas dificulta a los estudiantes el seguimiento de la materia a medida que esta avanza. Esto puede generar frustración y una actitud negativa hacia las matemáticas en particular y hacia el resto de asignaturas en general. Giving the seal of official to the diagnosis could also lead to greater agility in the changes of public policies. If the dyscalculic students appeared in the official statistics, they would increase the chances of receiving support. In 2009, a report on dyslexia was published by Jim Rose, who called for the implementation of specific training that would allow teachers to help dyslexic children. The initiative enjoyed great success, so if applied to the dyscalculia is likely to have the same successful result. What all this shows is that, apparently, nothing that is done is enough to help the children who deal with dyscalculia. If you are concerned about your child, it is important that you raise the possible problem at school and seek specialized psychological support. Obtaining an official diagnosis may take some time, but it can help your child by practicing basic concepts and procedures with him using normal objects, such as balls or tokens, or playing simple number games . Another option to consider is the table games with dice, which can help teach simple numerical concepts. Although they are especially useful for young children, these activities can help to strengthen the confidence of older students, who can use, for example, computer programs to practice arithmetic problems. As with language skills, it is important that mathematical learning is not seen as the exclusive responsibility of schools. Dyscalculia, like dyslexia, is a disorder that accompanies those who suffer throughout their lives, well beyond the school stage. It can not, nor should it be ignored. Greater awareness on the part of parents, teachers and society could make real progress possible in the development of affected students.